The stories in the books were, in their nature, endless. They were like segmented worms, with hooks and eyes to fit onto the next moving and coiling section. Every closure of plot had to contain a new beginning. There were tributary plots, that joined the mainstream again, further on, further in. 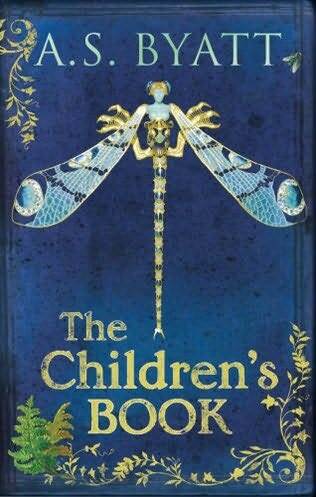 These four sentences refer to the books that Olive Wellwood, the fictional children’s author at the center of A.S. Byatt’s The Children’s Book, writes for her children. But they could just as easily apply to Byatt’s own doorstop of a novel. The book is filled with stories that overlap and coil but then wind away from the primary stream. Even the overdone metaphors in the passage (segmented worms with hooks and eyes?) somehow capture the nature of Byatt’s story. Byatt’s loving, but critical tribute to the social and artistic scene in late-19th and early 20th-century England is like taking a full immersion course in the period. Whether this is a good thing will depend on the reader. The book focuses on multiple, interlocked families populated with artists, writers, and free thinkers. Over the course of the novel, the children of these families grow from small children who revel in the plays and stories their parents put on at their regular gatherings to become adults who must cope with the all-to-real drama going on behind closed doors—dramas that in some cases erupt into all-out war. When the book begins, the parents seem to exist in a state of innocence. They are doing as they please, having just as much fun as the children, albeit in adult ways. It is only as time passes, and the children start to react to their parents’ behavior, that the consequences of living outside society’s rules begin to take their toll. Hopping from bed to bed is not a neutral, innocent action, especially not when children are the result—or the victims. Marionettes … are creatures of the upper air, like elves, like sylphs, who barely touch the ground. They dance in geometric perfection in a world more intense, less hobbledehoy, than our own. Heinrich von Kleist, in a suggestive and mysterious essay, claims daringly that these figures perform more perfectly than human actors. They exhibit the laws of movement their limbs rise and fall in perfect arcs, according to the laws of physics. They have—unlike human actors—no need to charm, or to exact sympathy. There’s a sense in which the characters of the parents’ generation seem to want people to act as marionettes. Provide the right environment—pull the right strings—and they will. But unlike marionettes, people walk on the ground in a hobbledehoy world. What’s more, the people will cry out for the freedom to choose. Nowhere is this more clear than in Olive’s compelling little story titled “The People in the House in the House,” probably my favorite of Olive’s stories that appear in the book. It beautifully illustrates the tension the impossibility of fully controlling others, and the way in which we are all under someone else’s control. Instead of plot and character, we’re treated (subjected?) to lengthy descriptions of pottery and plays. 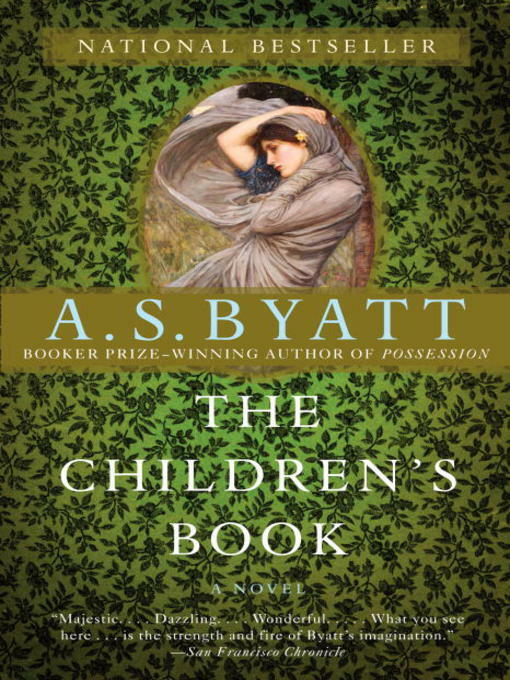 Once the story takes off and the characters take shape, Byatt is able to draw a character into the corner of society that she wishes to explore, whether it’s women’s suffrage or Peter Pan, but with such a large cast, the novel does start to sprawl. Personally, I’m fascinated by this era, and I was absolutely mesmerized by the detail and the narrative excurses—perhaps even more so because I’ve read very little about late Victorian and Edwardian art and culture. (For good or for ill, my literature classes in college tended to focus entirely on the literary works themselves, with little discussion of their cultural milieu.) But would I have missed some of these narrative tributaries if they were gone? Probably not. Despite its lack of leanness, I did enjoy this book. For me, there’s nothing better than a book I can sink myself into, and I sunk into this book. What’s not to love about that? I mostly felt really sad for Tom. He just struck me as a lost soul. My favorite characters were Phillip and Elsie and Dorothy, especially Elsie I think. I am hoping my reaction will be similar to yours when I get around to this one – I too love a book I can sink into, and sometimes I feel like our Strunck & White-educated minds place too much emphasis on leanness. It can be a virtue, but it’s not the be-all & end all of an enjoyable read. I’m also interested in the period, which seems key for the folks who have enjoyed The Childrens’ Book. One of these days I may just do a proper rant on Strunk and White, but I fear I’d get my editing license taken away. I have a love/hate relationship Strunk and White. The lean prose they advocate is great, essential even for certain kinds of writing. This is not that kind of writing. All the extraneous stuff is where the magic is! I’m surprised I felt as vitriolic towards this as I did. I think I’d like to read it again and this time not look to find another Possession and just enjoy it for its own merits. It’s a far more rambling book that you should sink into – I didn’t want that from it, and that’s why I didn’t enjoy it. I can’t fault the writing though – it was beautifully done, even if it was overlong and thin on plot! I don’t think this as easy a book to love as Possession–I can see quite well why someone wouldn’t like it! I was prepared from your review and Claire’s and some others for the sprawling nature of the book, and that helped me choose the right time and mood for it. Oh, goodness, Rachel, you want to re-read it?! Never would I willingly put myself through something so laborious again. I can’t fault the lush language or richness of period detail but it was just too slow and long (a deathly combination) for me. That is an issue with e-readers: the inability to flick back. You two are making me laugh! If I had marched through this once without liking it, I doubt I’d try again, at least not anytime soon. I feel so divided about this book – I own it and want to read it, but knowing it is a slow, digressive read means really choosing the right moment for it. I am fascinated by interpolated stories, so would like that bit, but I also require just a bit of plot to keep me going. I’d really like to read more of Byatt’s earlier novels. I loved Still Life when I read it years ago, and that’s part of a trilogy, I believe, that includes The Virgin in the Garden, another novel I’m very interested in. I wasn’t aware of the trilogy (This and Possession and the Biographer’s Tale are the only Byatts I’ve read.) I’ll have to look into those. After the first 200 pages, the plot does pick up quite a bit, although it’s never plot-heavy. It’s just the first part that I found tough going. That’s exactly how I felt about it. It’s certainly more about atmosphere than Possession is, but that was percectly fine by me. It was fine by me, too. I love Possession, and this was quite different, but there was so much in it to enjoy! I knew there would be some who would agree with that word choice! There were a few points where I wanted her just to get on with it, but mostly I thought there details were a treat. Hmmmm… I’m not sure what to think of this one. I haven’t read much Byatt (only Possession, which was ages ago and I feel I need to re-read it), so I’m not sure whether she and I will be a good fit. I’m intrigued by her quartet that kicks off with The Virgin in the Garden, so I might start there and see where that takes me. I know you’re not generally a fan of doorstop novels, so perhaps some of her shorter books would be a better place to start. I’ve been on the fence about Byatt generally because I adored Possession and was nonplussed by The Biographer’s Tale, but I want to try some others now. I really did love this, even when I was thinking ‘but does this really add anything?’. That whole interlude in Paris, for example. But like you, I’m really fascinated by the whole era. And perhaps if there hadn’t been all the build up, the end would have been less devastating. You are right about the large cast – I kept thinking – which one is he again? I eventually found a character list on Wikipedia that was immensely useful. And all those sections that didn’t obviously add anything did in the end add atmosphere and color, which is a good thing, although not, strictly speaking, necessary. I absolutely loved this book! Let’s forget the lean/bloated conversation and call it ripe. A work of a mature and masterful imagination fleshed out in glorious detail. I read it as slowly as possible and enjoyed all. The only thing I found a little strange was all the promo promises of something dark and shocking and it in fact seemed to head in the directions hinted at at every turn. Glad you (mostly) enjoyed. I glad you loved this so much–your praise was largely what spurred me to finally pull it off the shelf (or rather download it when I didn’t want to carry my paper copy). I did enjoy it quite a lot once I got into it. I had forgotten about the promises of something dark and shocking–maybe all the parentage revelations, which mostly weren’t surprising? I’ve read Possession and loved it and from your description, this one also seems right up my alley, but I do enjoy a bit of plot… or character. Sounds like a new sort of stream of consciousness. I wouldn’t call it stream of consciousness exactly. It’s more that it’s heavy on descriptions of the social and cultural world in which the characters exist, instead of focusing on plot. If this sounds like your kind of thing, give it a try, just don’t expect the kind of suspense that Possession delivered. It’s not that kind of book. I was very hesitant to read this book because I am one of the few people who does not like Possession (and it is the type of book I generally like) but I did enjoy The Children’s Book. That is interesting–and just shows that the two books are fairly different from each other. I was still working out my opinion at bit as I wrote–not unusual for me. I think it’s really a case of my enjoying it immensely despite being aware of its flaws.